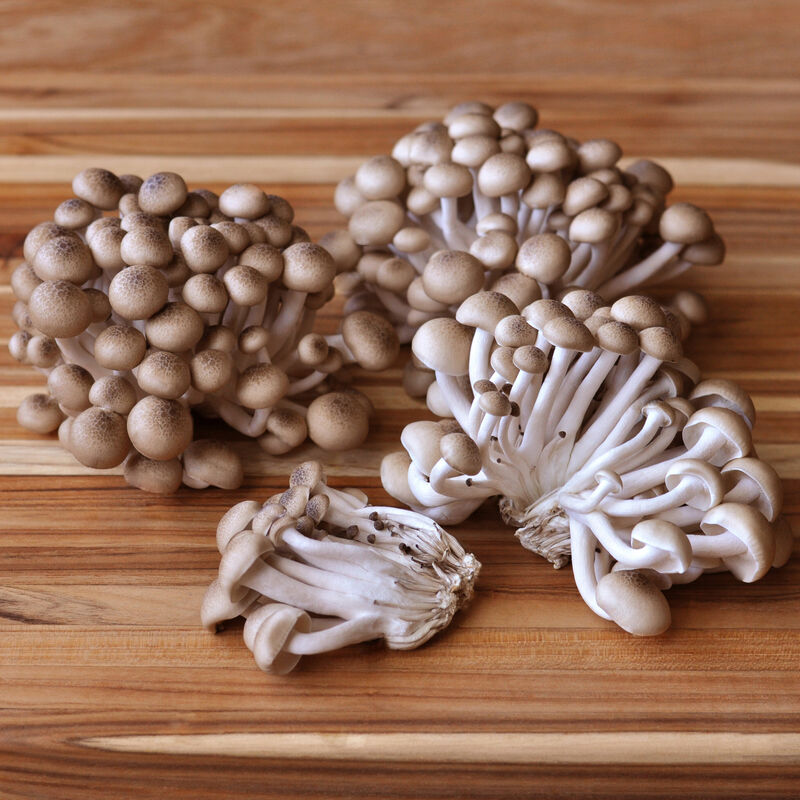 Fresh Hon-Shimeji mushrooms, organically cultivated in pristine conditions. Delicate in appearance, with thin stems and nickel-sized caps, hon-shimeji grows in small clusters and should be separated for cooking. Chefs love these little mushrooms for their nutty, versatile flavor, and crunchy texture. Both caps and stems are edible, so they can be tossed whole into a saute pan with vegetables.